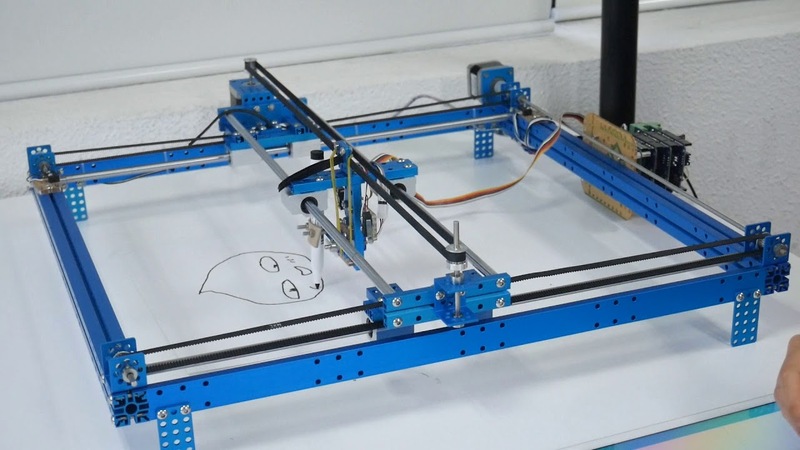 1 x Makeblock XY-Plotter Robot Kit V2.0 (No Electronics). This include all mechanical parts, two step motors (control position of pen), 1 servo motor (control pen up/down) and four touch sensors (detect the top, bottom, left and right border reach). When a finger touches to the drawing area in webpage, the XY coordinate of touching point is sent to Arduino. After scaling the coordinate, Arduino will move two step motors to locate the pen to that coordinate. During moving period, Arduino continuously send trajectory of the pen to web app, the web app draw the trajectory on the canvas. Receiving the command from webpage and do task according to the command. * - change the value in line 6, 7 of this file and line 33 of index.php according to value in IDE console. Copy the below code and save it into remote_draw.php file.